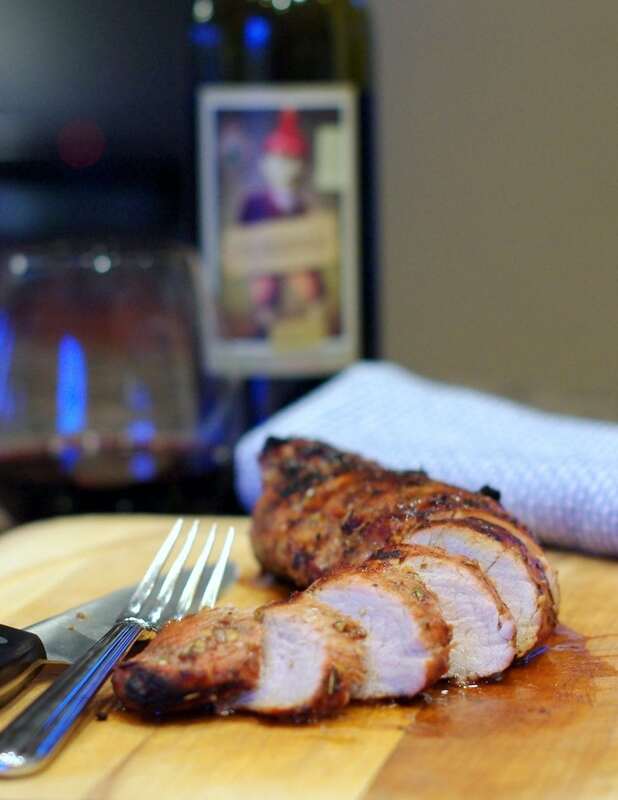 My Brown Sugar Pork Tenderloin infuses the flavors of balsamic vinegar, brown sugar and Dijon mustard in the meat for a taste that is sweet and full of charbroiled flavor that is sealed in. 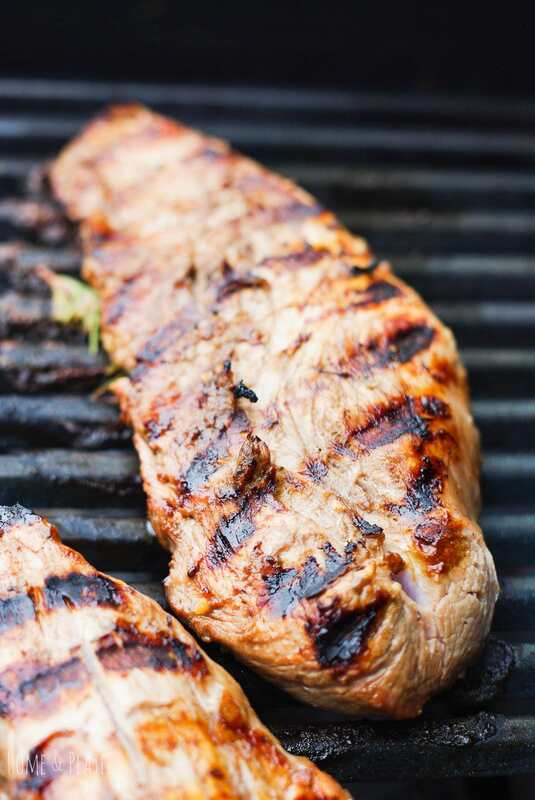 Grilled slowly this sticky sweet brown sugar balsamic pork tenderloin is sure to please everyone in the family. The temperature is hot here in Ohio and that means it’s grilling season. Who am I fooling, it’s grilling season all year long. If you are craving charbroiled or grilled meats this is the recipe for you. This grilled pork tenderloin pairs well with my Mediterranean Couscous with Grilled Vegetables, Lemon & Goat Cheese for a complete meal. 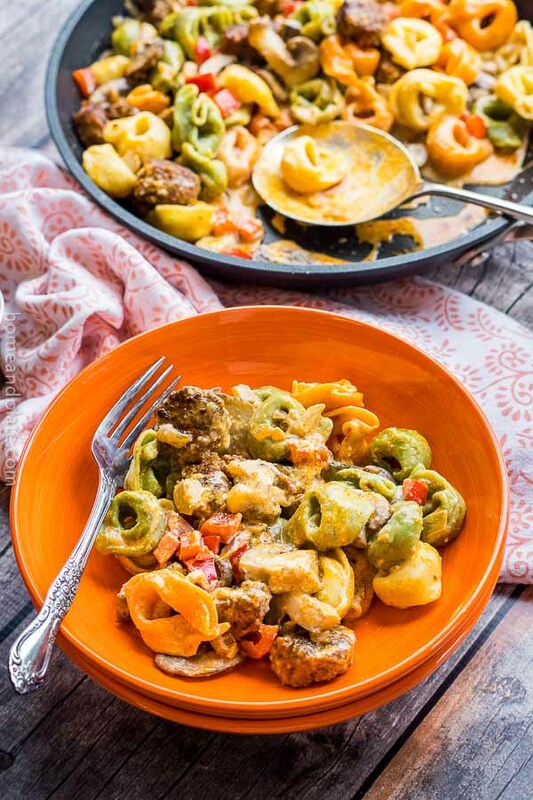 Enjoy this dinner outside on the patio with the whole family. This recipe requires a tangy marinade overnight as a brine for the pork. 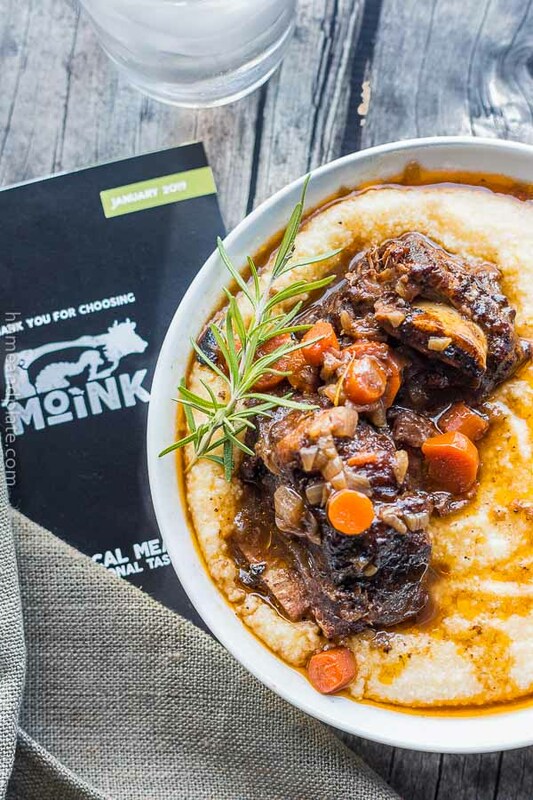 The flavors of balsamic vinegar, brown sugar and Dijon mustard infuse the meat for a taste that is sweet and full of charbroiled flavor that is sealed in. Grilling on medium low heat will prevent burning the brown sugar and leave a crystallized crust to the meat. Letting the meat rest after grilling helps redistribute and lock in the juices. Trim the pork tenderloin of any fat and silver skin. Place the pork tenderloin in a zip gallon size bag. Mix the remaining ingredients in a small bowl then pour the marinade over the pork. Refrigerate overnight or for at least eight hours. 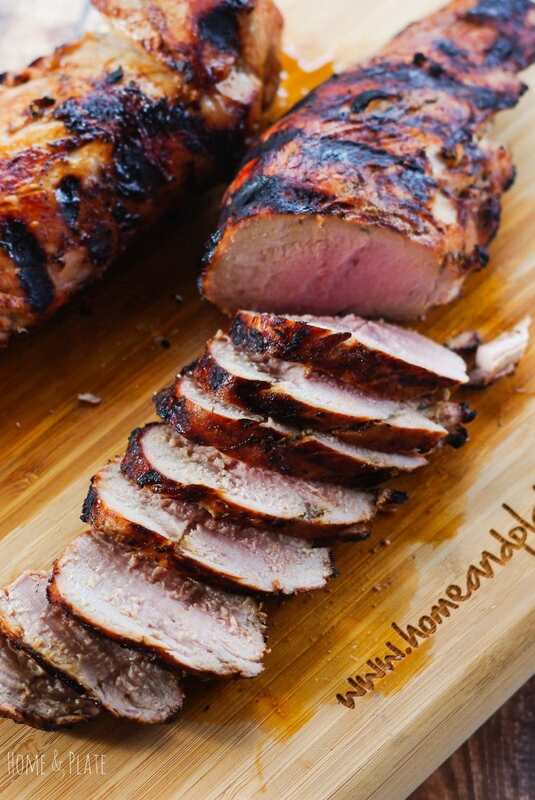 Bring the pork tenderloin to room temperature about a half an hour before grilling. Reserve the marinade. Fire up the grill to medium heat and grill the tenderloin until the internal temperature measures 145°F, about 20 minutes. Remove the tenderloin to a cutting board and allow to rest for 5 minutes before slicing. Bring the reserved marinade to a gentle boil over medium heat on the stove top and simmer for 5 minutes. Drizzle the marinade over the sliced pork tenderloin and serve. I used a balsamic reduction once on my pork tenderloin and it was so good so I can just imagine how delicious your dish is! I love the sweet and sour flavor dimensions here! I have a recipe using balsamic glaze and balsamic is so good with pork. This looks delicious. 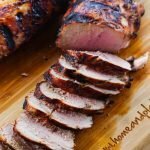 I love grilled pork tenderloin like this and it’s always a huge hit with the family. It makes the best leftovers too. Love your flavor combo! Love it for leftovers…especially a slice of pork tenderloin on a bun with a piece of grilled pineapple on top. YUM! This looks amazing! 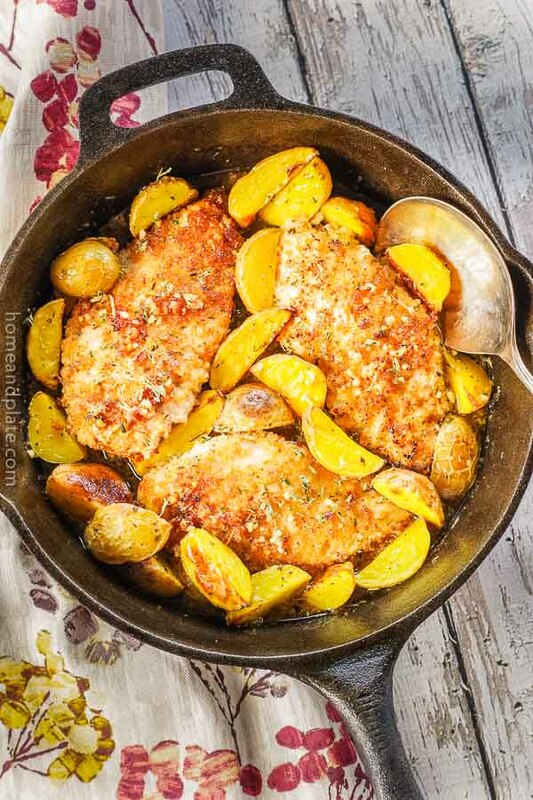 I love the combination of brown sugar and balsamic – two of my favs! Pork tenderloin is the best and then with balsamic vinegar and mustard what a great combination, I am officially hungry! Thanks Adriana. It’s one of my favorite pork tenderloin marinades. Hope you like it. That marinade sounds absolutely amazing! Can’t wait to try it! !